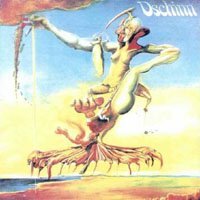 The German band Dschinn put out this one album of conventional - well maybe you could call it psychedelic hard prog - hard rock and then disappeared from sight. 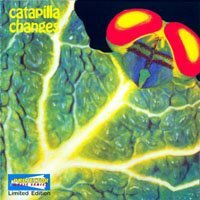 The originality and innovation found in a lot of Krautrock from this era is lacking here, but this is nonetheless a great album, originality and innovation being casually replaced by impudent power. With a gravelly-voiced singer and a hyperactive and talented lead guitarist this is a fine example of German rock. 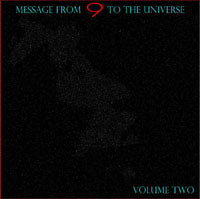 The original album had nine tracks, this release has 12 bonus tracks which appear to be outtakes and versions, and possibly some pre-Dschinn material. See you next week, which will be folky-type/acoustic-y week!! 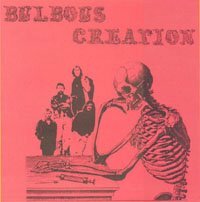 This boot includes the tracks from "Easter Everywhere", plus four outtakes from the sessions, including a great version of "Dust", followed by "Splash 1" and "Right Track Now" which are a couple of great duets with Roky & Clementine Hall. Then there are seven tracks recorded for an unreleased album, "Beauty And The Beast". 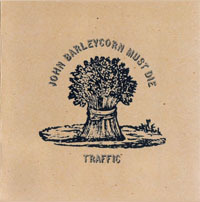 Three of those seven songs appeared on the "Bull Of The Woods" LP. This is a real good listen, and should be downloaded by everybody! 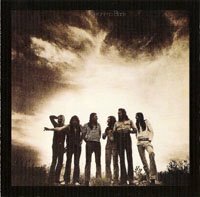 Originally recorded in Kansas City USA in 1970, this is great jammy hardrock/psych with an intense atmosphere and far-out vocals. Lyrics deal with heroin, Viet Nam, satanism and more. The opening cut, "End Of The Page", has a real nice guitar intro and the other highlight is the lengthy "Let's Go To The Sea", which features some great Hendrix-style psychedelic guitar work. The remainder of the album comprises harder edged rock cuts, their own interpretation of "Stormy Monday" and "Hooked", which is the best moment on the album vocally. Worth checking out. 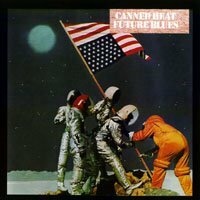 The final Canned Heat album to feature co-founder Alan Wilson, Future Blues was also one of their best, surprisingly restrained as a studio creation by the band, the whole thing clocking in at under 36 minutes, as long as some single jams on their live discs. It was also one of their most stylistically diverse efforts. Most of what's here is very concise and accessible, even the one group-composed jam — Alan Wilson's "Shake It and Break It" and his prophetically titled "My Time Ain't Long" (he would be dead the year this record was issued), which also sounds a lot like a follow-up to "Going Up the Country" until its final, very heavy and up-close guitar coda. Five bonus tracks, including a funny take on "The Chipmunk Song". 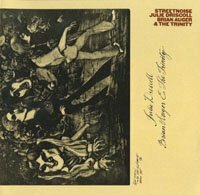 This is an excellent, smooth as silk, example of early jazz-rock, with Julie Driscoll contributing smoky, powerful vocals to about half the cuts. A wide range of influences gives us a musical soundscape ranging from some really funky organ workouts, an unbelievably cool version of the corny "Flesh Failures (Let The Sun Shine In)" from the musical "Hair", to the amazing progressive jazz-rock of "Ellis Island", with the high point being Julie Driscoll's strange and haunting vocal version of Miles Davis' "All Blues". What started out to be a Steve Winwood solo album ended up being the best album released under the name "Traffic". This band was a pretty fluid collection of musicians that would break up, then reform to make a new album, but always with the same core of members - Winwood, Jim Capaldi and Chris Wood. This album is much better than their previous three, being at the same time more acoustic and soulful, a superb fusion of jazz, rock and traditional folk - the title track dates to the 15th century. This is a brilliant album and is recommended for fans of any kind of rock from any era! This is the version with bonus tracks. After Eric Clapton left the Bluesbreakers to form Cream, Peter Green played guitar on this record and pretty much shocked everyone by being every bit as good as Clapton (maybe even better)! 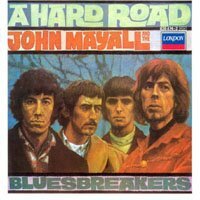 With Aynsley Dunbar on drums and John McVie on bass, aided at times by a terrific horn section, with Mayall on guitar, harmonica, organ and piano, this group turned out one of the best of the British electric blues albums. OK, well, there you have it. If enough people survive a week without any Krautrock, I may actually do a week of folky-type stuff in the future! Bye! Hi everybody, Im back! Got some great obscure Krautrock this week, and a Hendrix boot. And a couple real nice contributions. Everybody download everything! This isn't really a Krokodil album, I guess the label used the name as a selling point. 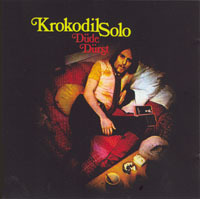 What it is, is a little-known solo project by Krokodil's drummer, Düde Dürst, joined by Krokodil's bass player and others. It's a remarkable drum-based opus, embellished by a wide variety of other instruments, with rock and fusion elements, featuring just two lengthy LP side-long instrumental suites. Highly creative and unique, I like this a lot. An unusual and unique group, the German group Between was the brainchild of musical theorist and experimentalist Peter Michael Hamel. As such, Between drew together a wide range of international musicians into a musical and cultural melting pot. 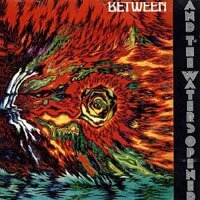 And The Waters Opened with its atmospheric dronings is probably Between's most innovative and fascinating, it's an album that oozes beauty and mystery. Haunting and evocative, it's almost chilling! 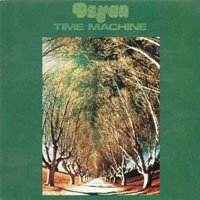 Time Machine marked a change in approach for German band Dzyan. 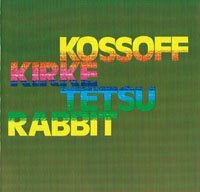 For this album they performed as a three-piece with only one member remaining from the original band: bassist Reinhard Karwatky. Together with Eddy Marron on guitar and Peter Giger on drums, Dzyan recorded Time Machine at Dieter Dierks' studio. Kicking off this album is the track 'Kabisrain' which is part fusion, part ethnic weirdness, all freak out! The closest comparison that can be given would be if Limbus 4 played fusion jazz. 'Light Shining Out Of Darkness', featuring some amazing guitar work from Marron, stands out as a cross between Agitation Free and Popol Vuh. 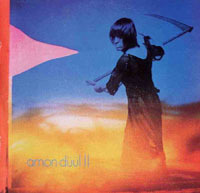 Certain elements from this album might not appeal to all Krautrock fans, but some comparisons can be drawn to Embryo and King Crimson. Whether you like the album or not, you will have to admit that both Karwatky and Marron knew how abuse their instruments. Simply put, these guys can jam! 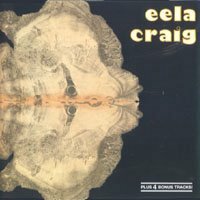 (review from krautrockgroup.com). 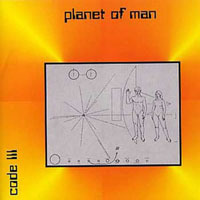 Produced by Klaus Schultze who also guests on drums on one cut, this is an obscure album of experimental music with a real ambitious concept - the history of the cosmos, from it's creation to humanity's ultimate destruction (ooh!). 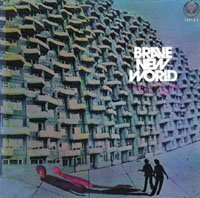 Electronic and cosmic with some acoustic folkiness thrown in, sounding somewhat similar to Sand's 'Golem', bits of Klaus Schultze's 'Black Dance' , and part of the first track sounds a little Pink Floyd-ish. 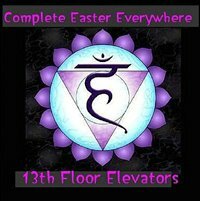 Probably not for everybody, but worth checking out. Liliental was a side project of Dieter Moebius of Cluster. The band includes two members of the German jazz rock band Kraan. The musical engineer Conny Plank who participated in the publication of many of Cluster’s albums helps the band for guitar, synth, and manipulated voices parts. The tracks range from “ambient” synth experimentations fusing to rock, jazz, “exotic” elements. 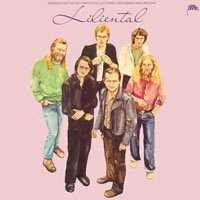 Liliental is more varied and colourful than most of Cluster’s albums from its ambient era. 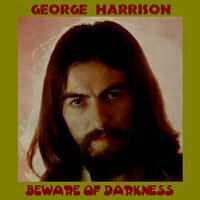 Although some parts do seem a little tedious and some parts a little too weird, this album does guide the listener into an artful, pleasant, enthusiastic musical world. This is the second volume of the Hendrix that I posted a couple weeks ago, and it has six tracks, three long jams and three shorter pieces. The highlight on this one is a 30 minute long jam with John McGlaughlin called, oddly enough, 'McGlaughlin Jam'! 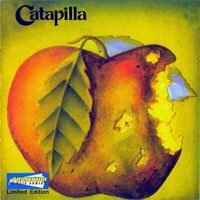 "Hasse" contributed these two albums from Catapilla: This English group played a jazz-influenced kind of progressive rock with focus on long and jam-oriented tracks. Good stuff. That's it for this week - thanks to Hasse and everyone who has e-mailed me and used the comments section, I appreciate the positive input! Later.